We welcome food and toiletry items that we collect continuously at the church for this frequently used Lowell ministry. We continually accept adult clothing contributions at our church to bring to the homeless shelter. We periodically serve supper at the Center (the meal is provided) and bring whole milk and fruit to share with the clients. We provide supper at the Kitchen monthly. Trinity members donate the food, prepare and cook it at the Kitchen and serve it to 90 to 120 clients. We also ask our congregation for clothing donations when the Kitchen holds special collections for clients. If you wish to participate in this outreach ministry, please check with someone in the Social Ministry Committee at Trinity Lutheran Church. Working on local home construction sites and serving lunches is a spring through fall ministry. Recently, church members have been involved in local builds in Bedford and Lowell, MA. There is sometimes focus on Habitat trips to other places, like the areas suffering from the damage of Hurricane Katrina. Trinity members are invited to participate in traveling together to Boston at designated times to help meet the needs of the cruise ship crew members in port. We transfer money via MoneyGram, sell phone / Internet access cards and distribute parcels received from Amazon, etc. We also sell convenience items in the Mission store and interact with crew members from all around the world. In the late fall, we collect gently used men's clothing for the crews of the merchant marine ships and also donate special wool caps, knitted by ladies of Trinity, that keep seafarers warm when working outside on freighters in the winter. Trinity works with the Chelmsford Cluster of Refugee Immigration Ministry (RIM) and Lutheran Immigration and Refugee Service (LIRS) to sponsor and advocate for the asylum seeker and refugee. 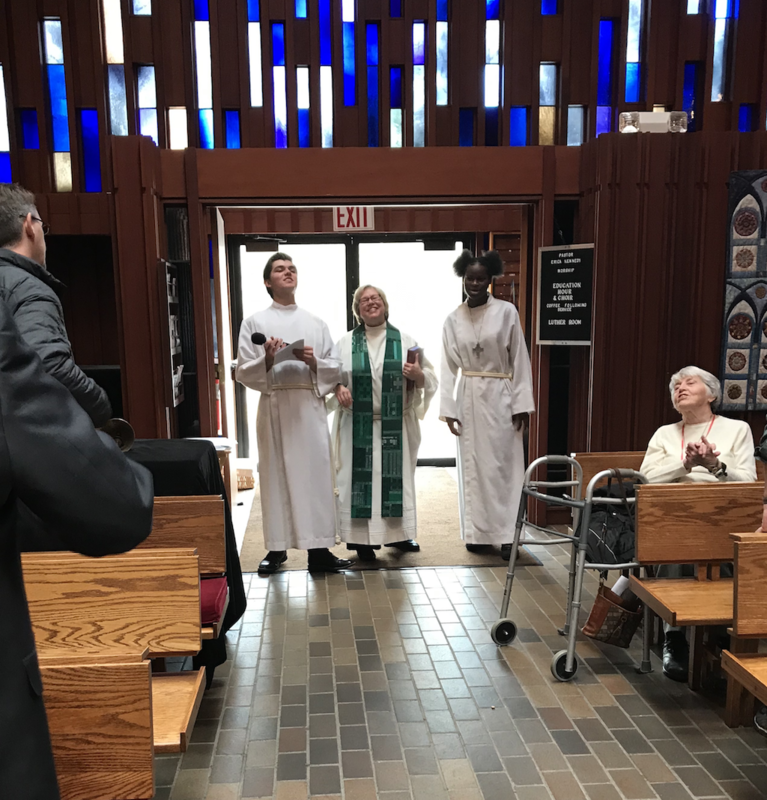 Trinity has recently helped sponsor asylum seekers from Senegal and Uganda in this ministry that has involved providing a new life for those suffering oppression in other countries.